Dr. Kimberly Hoffman is a licensed Naturopathic Doctor, classical homeopath, and a certified Holistic Pelvic Care™ specialist (click here to learn more about Holistic Pelvic Care™). Dr. Hoffman serves as a medical detective, guide, and coach to her patients. She is a skilled doctor with a keen ability to understand the story behind her patient’s symptoms. She uses her expertise and intuition to piece together the patterns of imbalance and guide her patients along their own unique path to health and healing, while addressing all aspects on an individual’s health (mental, emotional, physical). Her treatments are inspired and guided by the principles of Naturopathic Medicine, the laws of nature, and influenced by mind-body transformational psychology to help facilitate breakthroughs in the lives of others so that they can achieve the level of health they desire and a lifestyle that allows them to do what they love with more joy, freedom and ease. Therapeutic modalities include botanical medicine, biotherapeutic drainage, homeopathy, nutritional supplements, nutrition, mindfulness counseling, and Holistic Pelvic Care™. As a Licensed Naturopathic Doctor, Dr. Kimberly Hoffman practices what she calls “vital medicine”, which is a transformative and intuitive approach to health care that uses natural therapies to treat YOU, not just your symptoms. Symptoms are best thought of as “signs” that we are out of balance. Resolving those symptoms almost always involves realigning yourself with nature, addressing your unmet needs, acknowledging your deepest desires, and honoring your spiritual calling. Dr. Hoffman hopes to help inspire her patients so that they can realize their highest health potential. A mother herself, Dr. Hoffman is passionate about helping individuals and couples fulfill their dreams of having a family. Dr. Hoffman offers supportive treatments from preconception through post-partum designed to help nourish both mother and baby. For those wishing to become pregnant, she offers customized pre-pregnancy detox programs and general fertility support to optimize a woman’s or couple’s ability to conceive naturally and have a healthy pregnancy. She also provides adjunct postpartum support to new mothers so they have the necessary resources to care for their little ones while nurturing their own physical, emotional, and spiritual needs. Dr. Kimberly Hoffman maintains a general family practice with a special focus in natural fertility, thyroid disorders and other hormonal imbalances, autoimmune disorders, digestive complaints, mood disorders (anxiety/depression), women’s health and pelvic floor dysfunction. 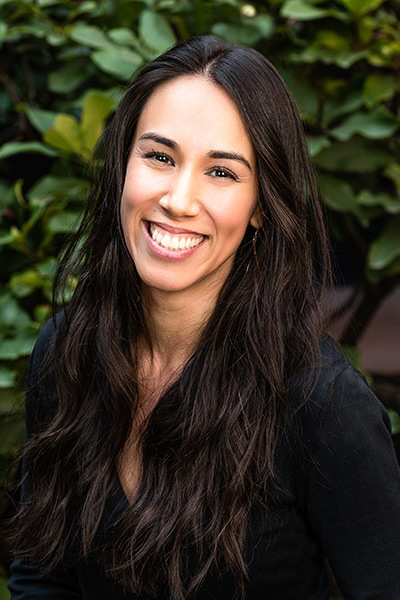 In addition to her primary care naturopathic medical training, she has completed advanced training in endocrinology, autoimmune disease, homeopathy, chronic disease management, and mindfulness counseling. Personally, she strives to cultivate balance between her passion and dedication to her profession/patients and her role as mother, daughter, wife and friend. When not practicing medicine, you can often find her sharing stories, music, laughter, and gourmet meals with loved ones outside or in the kitchen, savoring everything that a well lived, abundant life can offer.